Perth and many country towns in WA, especially those on the coast, continue to grow with the ever increasing pressure to clear land for infrastructure, industry and housing. We need to provide a strong public voice for community concerns about bushland loss and the need for government action in the agricultural, rural and urban areas of Western Australia. Achieve a moratorium on land clearing in Western Australia. 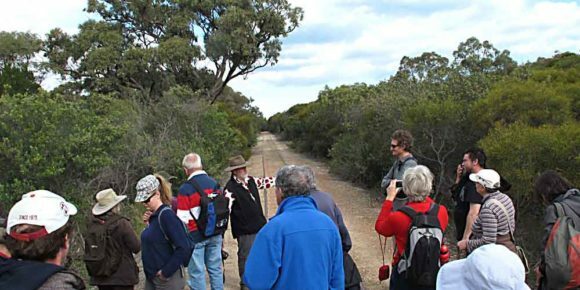 From the Wildflower Society of Western Australia’s perspective, trees and other vegetation are important, valuable and necessary to our very existence. Without them, we would not exist on this planet. Make a tax-deductible donation to the Wildflower Society Bushland Conservation Fund. Meet, phone or write to your local parliamentarian about your concerns about bushland clearing. Talk to your friends about this campaign and the issues it raises.